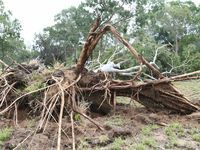 A WEEK'S worth of heat and humidity came to a climax yesterday evening as the region was pummelled by a band of wild electrical storms. 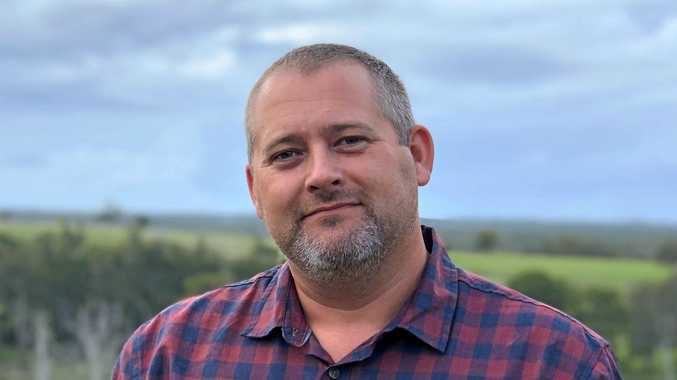 Weatherzone meteorologist Brett Dutschke said the Bundaberg region could expect more severe storm activity this afternoon and into the evening. "Thunderstorms are highly likely again later today, there is still a low pressure trough around with instability in the area," he said. "Storms do have the potential to be severe again but hail is not as likely as it was yesterday." "The most likely outcome for this afternoon is damaging winds and some brief heavy down pours." Mr Dutschke said Saturday night's wild weather came about after a combination of hotter than normal temperatures and higher than normal humidity along with some colder air in the upper atmosphere. 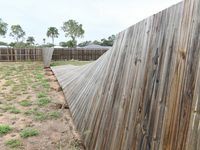 "There has also been a strong jet stream over the area and thunderstorms do tap into those strong winds in the upper atmosphere to generate damaging winds at the ground," he said. 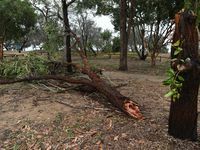 Residents from around the region spent this morning cleaning up after experiencing heavy rain, hail and wild winds described as sounding "like a freight train". Moore Park was hit the hardest with trees uprooted, fences blown over, roller doors blown in and debris strewn across backyards. Resident Barry Downing woke up to destruction this morning with his front yard in disarray after winds caused a large tree to fall on his fence. "I heard it all happen, there was a large clap of thunder and the house started to shake then the wind hit- it sounded like a train," he said. "I have never heard anything like it." The 79-year-old former army soldier said the commotion lasted up to five minutes. "I was sitting inside with my dog at the time and said 'hang on we won't go outside yet, we will be blown all the way to Kingdom Come'," he said. "I am ex-military and have been in some pretty tight spots before but this storm had me pretty frightened." 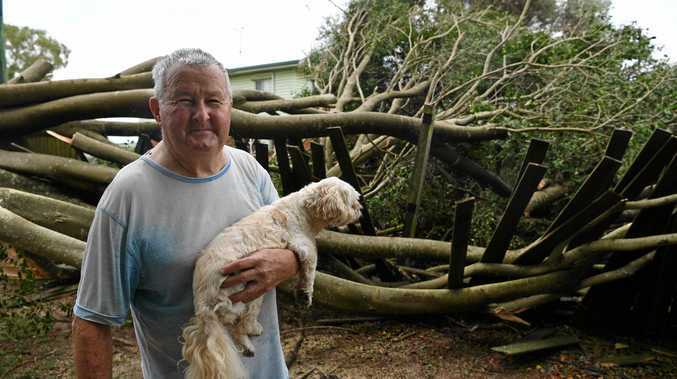 Mr Downing said he and his neighbour were without power from about 1am today after wind had snapped a nearby power pole in half. 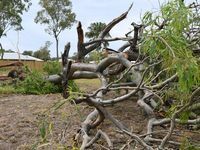 Queensland Fire and Emergency Services crews were also kept busy on Saturday evening, battling a small blaze in a Bargara paddock that was struck by lightning. "A grass fire across the road from Bundaberg Palms and Plants Nursery erupted when lightning hit the ground," a QFES spokesman said. "It started as a small grass fire with crews out for about half an hour to contain the blaze." 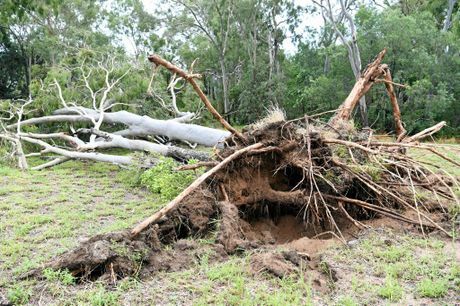 Queensland Parks and Wildlife Service rangers were forced to cancel the night's turtle tours at Mon Repos due to the severe weather. Weatherzone spokesman Brett Dutschke said thunderstorms would ease overnight. "The chances of thunderstorms will diminish from late this evening as the instability will move offshore tonight," Mr Dutschke said. 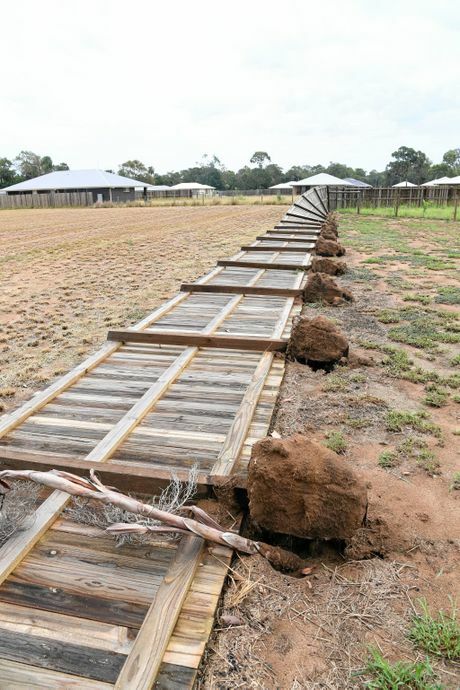 "Bundaberg will see dry weather for the next few days with a small chance of a thunderstorm on Saturday."